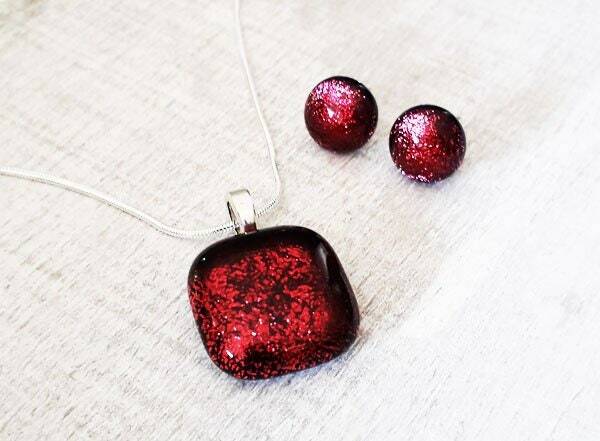 This pendant and earring set are made from fused dichroic glass in a deep sparkly cranberry/red. 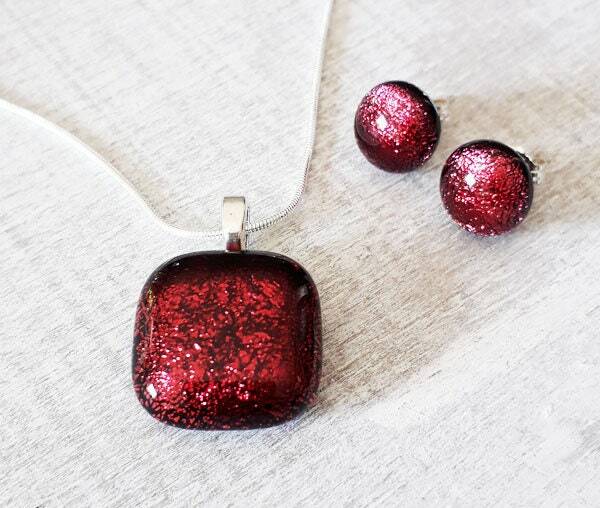 The pendant is about 15mm x 15mm. It hangs from a silver heart bail on a silver snake chain. The earrings are about 9mm across and have sterling silver posts and backs.